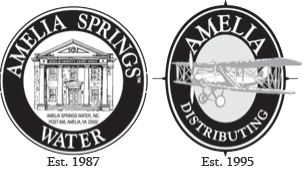 Amelia Beverages was established in 1987 in Amelia Springs, Virginia, and we're now celebrating our 30th anniversary! Our products are carried in many prominent grocery stores and the unique labels are familiar to consumers throughout the south and east of the United States. We have received many awards for product quality. As you know by now, water is my business. My quest for unaltered water goes as far back as my childhood in England. 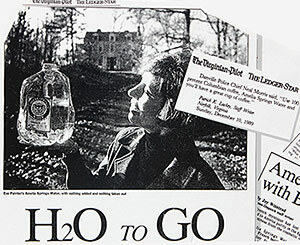 Water has always been my choice of beverage, long before bottled water became so available. Having searched for that special water, never was I satisfied. 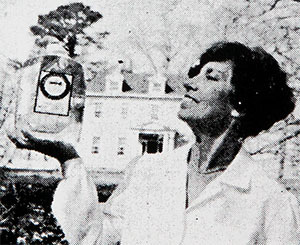 While my husband Walter and I lived in rural counties for 30 years here in the United States, I discovered that water tasted far better from springs on our property in Amelia Virginia, than the local water. 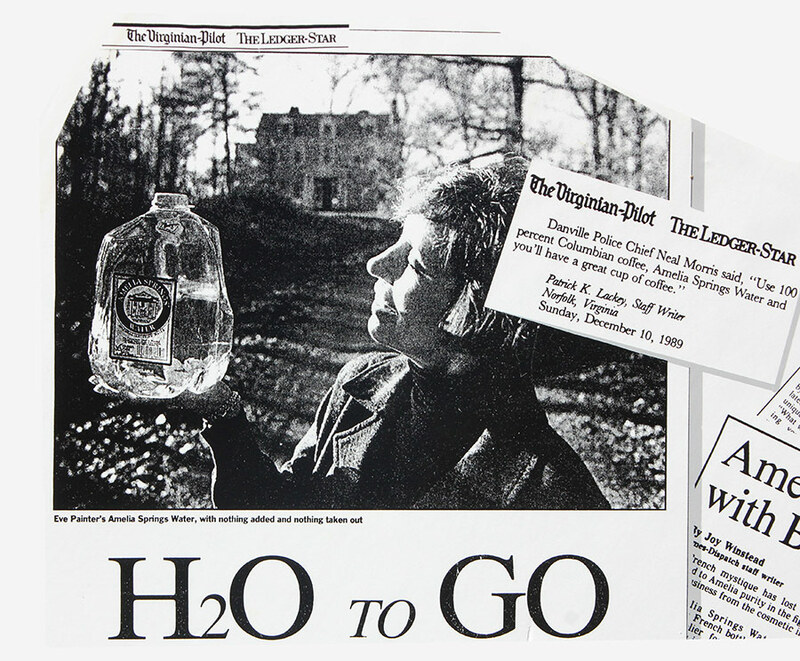 This is when the analysis of water became most important to me. I came to the conclusion that the most important rule is never to alter water at the original source, EVER. 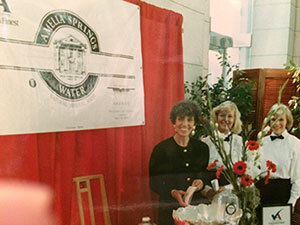 In 1987 we established Amelia Springs Water drawing water directly from our own three spring sources. 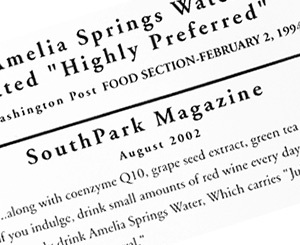 Amelia spring sources were confirmed by our hydrologist and approved by Virginia Health Department and the FDA. 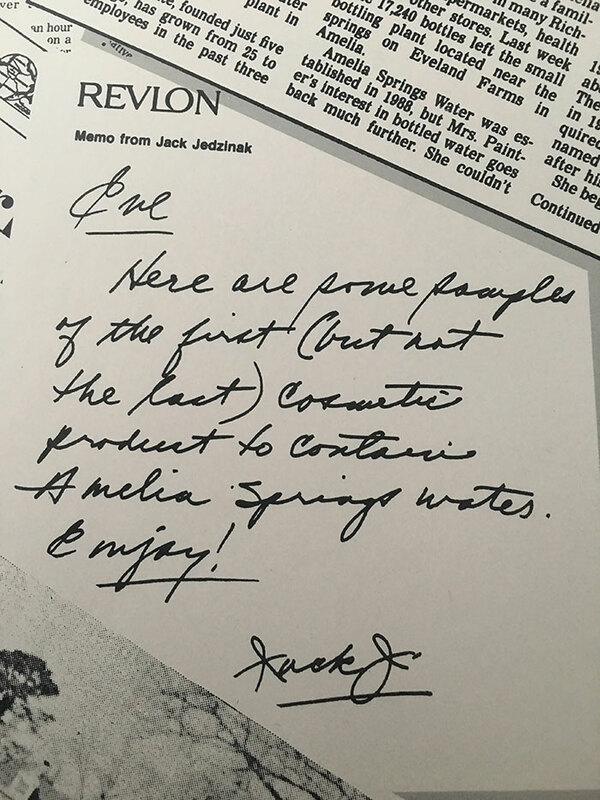 My journey to find additional sources took me to many parts of the country; we have survived for 30 years as a testament to the purity of the products. 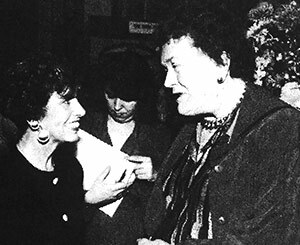 We established Amelia Distributing in 1995. Today consumers are increasingly invested in health. Our Amelia Electrolyte water has a healthy pH of 7.6, in addition to minerals/electrolytes needed to replenish what we lose during exercise and age. Water is critical to our quality of life and health. Chronic dehydration can cause severe health issues. Today, I personally drink close to a gallon a day of our Amelia electrolyte water, which is all natural. At times I drink our spring water, which has trace minerals. Don't forget your pets, they need a good source of water too. in nature where they meet." "Water: the Element of Life" by Theodor Schwenk. 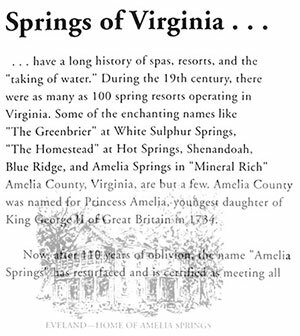 Click on the images below for articles about Amelia Springs Water's history, memorable achievements and recognition. The articles and images will open in a new browser window; close them to return.